Note: A version of this post originally appeared in the blog Venetian Red. Abstract painters—Bryce Marden and Elizabeth Murray come to mind—steadfastly carried the painting torch through those dark years. If the body abstract painting was anemic, the corpse of narrative painting was buried in a tightly sealed crypt, its coffin nailed communally by every modern art movement since Impressionism. 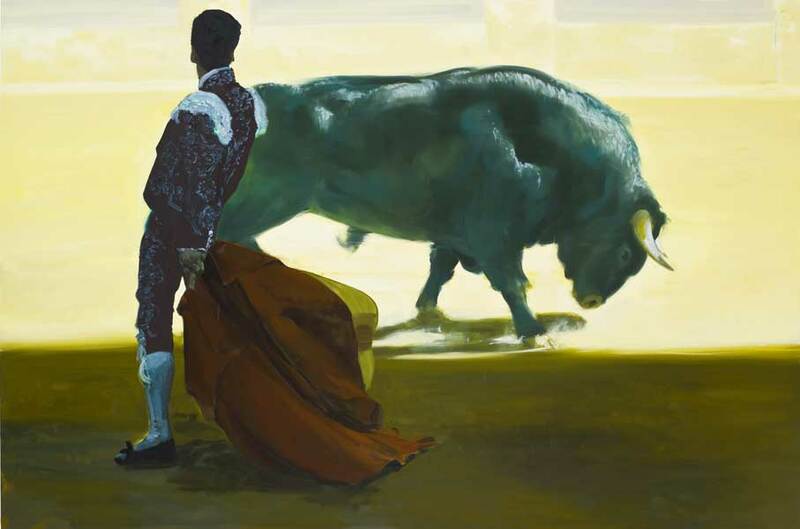 In 1982, it was hard to tell whether Fischl’s work was a refreshing jolt of energy or a reckless sneer to the increasingly abstruse art world. Fischl stuck with his vision. Reports of painting’s demise turned out to be greatly exaggerated. During the last two decades of the 20th century, painting resurfaced with a vengeance. Resuscitated by painters like Fischl, Odd Nerdrum, Jack Beal, Alfred Leslie and others, figurative/narrative painting has been awakened from nearly a century-long slumber.Both memoir and manifesto, Bad Boy is a riveting read. Fischl knows his share of celebrities/ luminaries and many of them have contributed their own memories of the artist to the book. Freud contends: “It is indeed impossible to imagine our own death; and whenever we attempt to do so we can perceive that we are in fact still present as spectators.” Art shows us a path through life; it’s intriguing to think that it might also show us the way through death.